Our customer is a global financial services solution provider operating and providing solution to client across the world. TerraAlto is working with them as a technical consultancy partner with expertise and experience of DevOPs in AWS. They traditionally install their application stacks in on-premise and or hosted data-centers. However they want to enable their clients and partners to deploy their applications in cloud environments including AWS. As part of this they engaged TerraAlto to work with them on developing a fully automated deployment of their application environment including network, IAM and highly available, scale-able application stack. 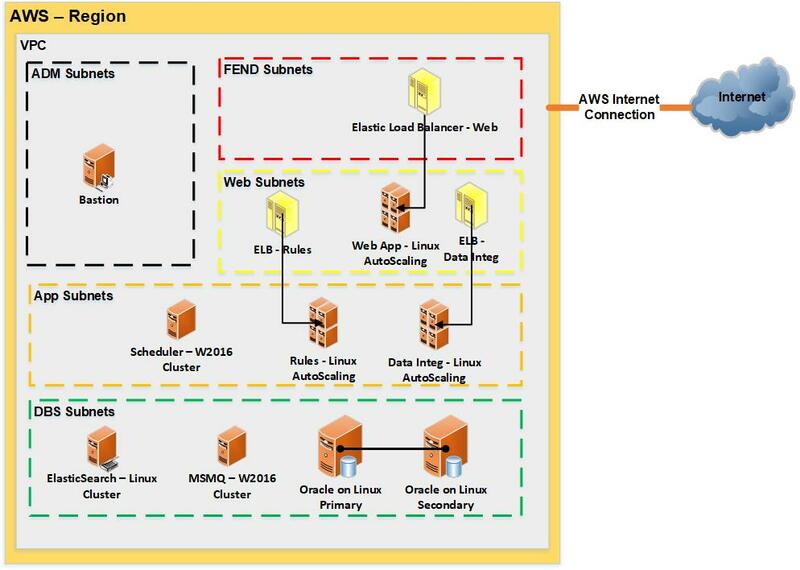 A nested Cloudformation stack that creates all required component of the environment from VPC, through IAM and to application servers. Add users and conditional forwarders to AWS Directory Services MS AD Domain as required by application. Build and prepare base AMI for deployment of application servers. Launching of EC2 instance, running Oracle DB and schema creation scripts, and then terminating the EC2 instance. All above is deployed using YML Cloudformation templates in a nested stack. 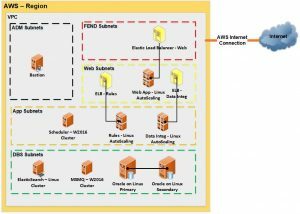 Creation of an AWS Directory Services MS AD Domain an populating the required users and conditional forwarders prior to deployment of the application stack. Creation of an base AMI with the prerequisites for the application installation, prior to beginning application stack deployment. Running the necessary DB and Schema creation scripts against an RDS Oracle instance during application stack deployment. Allowing for ongoing changes to application during the development, testing and deployment of this solution. Repeatable and consistent creation of a complete application stack environment from the ground up. Integration between the application development and infrastructure deployment processes. Resource required for new client deployments has been reduced by 80%.